Deadly forwards Sardor Azmoun and Mehdi Taremi are the main dangermen for Iran. Carlos Queiroz has coached Real Madrid, Portugal and Manchester United, but admits the Iran players he developed and moulded into becoming Asia’s top-ranked nation in the world “will be in my heart the rest of my life”. The Mozambique-born manager stood down from a post he had held since 2011 after defeat to Japan in the Asian Cup 2019 semi-finals on January 28 – having steered Team Melli to the finals of both the 2014 and 2018 World Cups. The 65-year-old Queiroz quoted Frank Sinatra as he made his exit stage left from Al Ain’s Hazza bin Zayed Stadium following his side’s exit from the UAE. Sinatra, one of the most influential musical artists of the 20th century, was known for his famous comebacks, and Queiroz is already on the comeback trail after he was appointed Colombia coach on Thursday. It is his fifth national team job having coached his native Portugal twice, as well as the UAE, South Africa and Iran. Iran have risen to No29 in the FIFA world rankings under Queiroz’s guidance, with players like Zenit St Petersburg striker Sardar Azmoun, Brighton winger Alireza Jahanbakhsh and Al Gharafa’s Mehdi Taremi all courting attention. But there is also a tangible sense that Iran still failed to fulfill their promise under Queiroz, having come into the Asian Cup as favourites. Four years ago in Australia they were dumped out at the quarter-final stage by Iraq. Asked what he believes comes next for Iran following his departure, Queiroz replied “a shining future”. “Next, I see a good future for these Iranian players. The formation is there, there is a lot of things I make happen in these eight years,” he said. “Facilities, a performance training centre, a generation of players that in the next eight years will make something special. The most important thing is the legacy of this eight years. Players started playing in Europe. A shining future for Iranian football if they keep going. “Special congratulations and a huge, huge, huge thank you to my players for everything they did. They have done everything all these years, taking into consideration the adversity, the difficulties. The expectations they have. Queiroz managed Cristiano Ronaldo at both United and during his time in charge of his native Portugal. 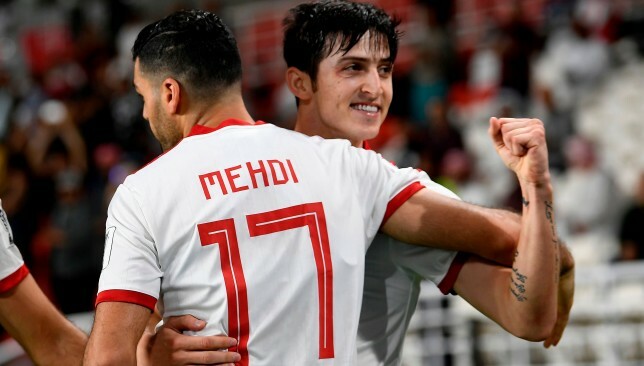 Many felt Team Melli went into last summer’s World Cup in Russia as dark horses, although the odds seemed stacked against them when they were drawn in the ‘Group of Death’ alongside 2010 champions Spain and reigning European champions Portugal, as well as African heavyweights Morocco. And yet Iran suffered only one defeat, a narrow 1-0 loss to La Roja, with a 1-0 victory over Morocco and 1-1 draw with Portugal seeing them finish on four points, one adrift of the European duo who qualified for the knockout stages. And Queiroz believes that despite a largely negative view of the country globally, Iran’s footballers have painted the nation with pride. 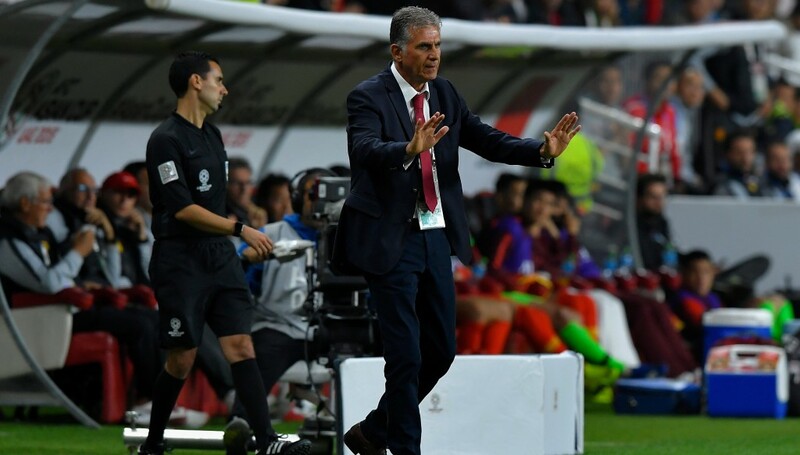 Queiroz added: “I wish all the best for the people and I think and I feel the way the Iranian players performed in the last two World Cups, they did it for the people. Carlos Queiroz left Iran after their Asian Cup semi-final exit. “And they sent a message to the rest of the world to say that Iranian people deserve to be looked at in a different way by the rest of the world. A different attention and appreciation. “They built credibility, they built a lot of attention, because they’ve been reliable for eight years and in the right time performing fantastically. “They earn respect all over the world and for my players it is an opportunity to know the people from outside have shown appreciation for the Iranian players. It is a moment of freedom for them. 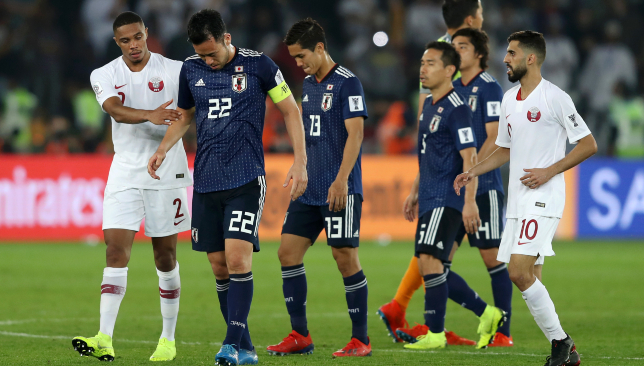 Japan may have failed to win their fifth Asian Cup title after they were shocked by Qatar in Thursday’s final. However, the Samurai Blye showed why they are a class apart and an epitome of sporting behaviour. After the their 3-1 loss, Japan cleaned their dressing room and also left a note that said “Thank You” in English, Arabic and Japanese. Always the standards for discipline, cleanliness and exemplary behaviour, this is not the first time Japan has exemplified the term “gracious in defeat”. Japan were eliminated by Belgium in the last 16 of the World Cup 2018 even after they led by two goals. What could have made news as a fairy-tale turned into a heart-break in the dying moments of the game. The Asian giants later cleaned the dressing room and left a thank you note.